There are two types of people: the clean cut and simple, and the functioning chaotic. I've always fallen in the latter bucket. Ever since I was five and wore orange sunglasses with technicolor pants, I never seemed to love the whole minimalist, clean, look. After hitting the age when I accompanied my mom to the checkout counter at Barnes and Nobles and flipped through Vogue and Rolling Stone while she paid for my Harry Potter paraphernalia, I soon got bored of reading solely about mainstream things already saturating the rest of the media. I dreamt of finding a collection of fashion and music which actually exposed me to new things instead of celebrities I was already hearing about during lunch at school. That moment never came. Hence, Retrograde. After conceiving of this idea in the Aurangabad airport while my mom shopped the duty free, I got Kate (fashion icon and talented friend), Ayla (future editor and literary genius), and Portia (artiste extrodinaire) on board. We came up with this- I hope you enjoy. Retrograde is an online and quarterly print fashion and music collective focused on those who are passionately divergent and beautifully chaotic in their style and personality. Isha: always Indian and always creating. If she's not coding an app, reading Harry Potter for the fifty something-eth time or painting, she's most likely dying her hair or brewing chai. You're likely to find her playing Hogwarts Adventure on the subway or walking around lower Manhattan with a camera in hand. Find her on Instagram and her website. Kathryn talks too much, stays up too late, and posts too many pictures of her dog on Instagram. You will typically find her with her nose in a book (probably about JFK). She’s just as likely to be found reading a copy of Vogue or on the hunt for the perfect pair of over the knee boots. Although she absolutely loves to travel, she is a born and bred New Yorker. Find her on Instagram. Ayla is a poetry nerd, chocolate lover, and an avid sit-com enthusiast. If she is not eating crepes with friends, trying to read four different books simultaneously, or writing a poem, she is probably listening to her new favorite song (on a loop) or binging her latest Netflix obsession. Find her on Instagram. Zoe Rivera is a 16 year-old unapologetically gender non-conforming Afrolatinx stationed in the sleepy suburbs of Somerset, New Jersey. Dedicated, effervescent, and plainspoken to a fault, their passions revolve around promoting progressivist work by means of holding managerial positions in various grassroots/ national organizations and public speaking (a hobby they sharpen for Model UN conferences and debate leagues). When not talking a mile a minute, they are often caught whipping up palaces out of paragraphs and devouring literature — dystopian, futuristic fiction, racialist, and memoirist — with a insatiable hunger for both intersectionality and divergency. They are excited to be explicating the interconnectedness of and learning more about the world alongside you, the audience, as they write up a storm for Retrograde Magazine! Cameron Vipperman is currently a full time student in Columbia, South Carolina. The piece of writing she is most proud of is a one-act musical, which she co-wrote as a freshman in high school, but she also enjoys writing straight plays, songs, poetry, inspirational messages, opinion pieces, and short narratives. 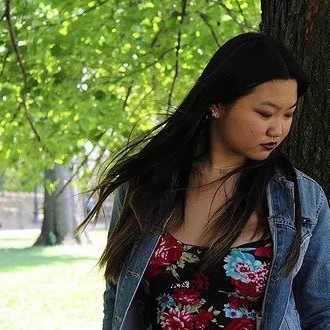 Currently she is working on her high school and International Baccalaureate diplomas, and plans to pursue a BFA in musical theatre in college. When she isn't writing or scrambling between school, rehearsals, and work, she can be found with a camera to her eye. Allison is an aspiring music journalist and avid concert goer. When she can, Allison is probably making Spotify playlists, reading music blogs, or watching true crime documentaries. Ask her about her undying love for New Girl and the quest to find the Nick to her Schmidt. Find her on Instagram. Meghan is just your average college student who has an altar set up in her room and a Ouija board hanging above her bed. When she isn’t in class studying fashion or impulsively getting tattooed or pierced, she can be found hanging out with her friends in the coffee shop below her apartment. She enjoys listening to Fleetwood Mac and shopping for ‘80s-inspired clothes, and while she’s more of a homebody, she loves to travel and tries to as much as possible. Keep up with her through her Instagram (@mermmaaid) and blog (https://megandthemoon.wixsite.com/megandthemoon). Olivia is a full-time student, but doesn’t let that get in the way of her passions (hence the late nights and dark eye bags). In addition to being a fashion contributor for Retrograde, she runs Absolutely Olivia, a blog where she shares everything from fashion and lifestyle to activism and advice. Olivia is an intersectional feminist and a snake enthusiast, and could go on about both for hours. In her free time, you can find her at the thrift store, curled up in bed reading Harry Potter fanfiction, sporadically dancing to Lorde, writing poetry, or simply admiring her Obama popsocket.